What is AI.pl - Virus, Trojan, Malware, Error, Infection? AI.pl is confirmed to be a computer virus which is basically programmed to infect all types of .exe or executable files. Basic virus analysis reveals that exe files are the most vulnerable when virus infection occurs and similar to many other malware in the same category, the .pl extension program will take control of any random file or application by executing a command. It will then be integrated into the computer's run time operation which in other words can be referred to as the booting process. All programs which falls within the category, folder or storage drive will be affected by this issue but it is not witnessed to gain access to registry or any other area so far. The blacklisted AI.pl has a disadvantage to its developers and the one feature which favors users is that this particular virus doesn't have the capability to infect every type of exe file. It is a capability that security analysts try to exploit and stop it from infecting or spreading across. 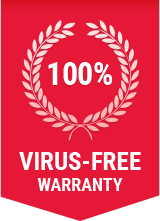 Use an antivirus program, run a proper scan and the program will mostly be quarantined by the AV software. This particular malware is not effective against standard DOS based files. The viruses developed in modern times are triggered towards compromising windows operating system and adds unwanted data bytes to host file.